While there are occasional sparks of hope that West Virginia will overcome its reputation as a Judicial Hellhole, in many ways, each year seems like déjà vu: stunning verdicts, a lack of appellate due process, an attorney general’s office that is almost indistinguishable from a private personal injury law firm, law that is out of the mainstream, and frivolous or fraudulent claims. A review of the past year again shows each of these elements. But let’s start with the good news. The West Virginia Supreme Court of Appeals, the state’s only appellate court, deserves recognition for reaching two particularly well-reasoned decisions. First, soon after publication of the last Judicial Hellholes report, the court issued a ruling that reined in abusive consumer protection claims. In White v. Wyeth, the court recognized the basic principle that an individual who sues under a consumer protection statute must show that he or she actually relied on the allegedly deceptive advertisement or practice to recover damages. In other words, those who sue need to show not only that an advertisement or practice could have misled them or others, but that it actually did. The court also found that the private cause of action authorized by West Virginia’s consumer protection law does not extend to prescription drug purchases because the federal government already tightly regulates medicines to protect consumers. Local defense lawyers hailed the decision as “an indication [West Virginia is] coming back in line” with other states and “a good step forward.” The ruling should help assure that West Virginia does not become a magnet for lawyer-driven claims brought on behalf of consumers who purchased a product but experienced no financial loss or physical injury as a result of the purchase. Second, legal observers were relieved when the high court upheld the state’s limit on subjective noneconomic damages in medical liability cases in June. The court had rejected a constitutional challenge to the law in 1991, but the court was asked to revisit the issue after the legislature in 2003 reduced the limit to address further problems faced by West Virginians seeking access to healthcare. The court’s decision is detailed among this year’s Points of Light (see p. 40). Ironically, a personal injury lawyer group that calls itself the West Virginia Association for Justice (emphasis added) opposed providing a full right to appeal. In desperate-sounding attacks, its representative argued not only that appellate review would drag out civil cases for its members who file personal injury suits, but that guaranteeing review would give “every convicted criminal in West Virginia a chance to get off on a technicality” and create more work for police officers, prosecutors and the judiciary. The plaintiffs’ lawyers had the political clout to kill the bill without it even getting on the agenda in the House of Delegates. Apparently, the public’s interest in justice comes second to the group members’ financial interests in shielding bad rulings and excessive verdicts from post-trial scrutiny. In several areas West Virginia law is more favorable to plaintiffs than that of other states. Aside from its lack of appellate review, it is known for several deviations from mainstream law, both in terms of procedure and substance. For instance, West Virginia is known for mass consolidation of claims and occasionally permitting juries to decide defendants’ punishment before establishing their responsibility for plaintiffs’ injuries. West Virginia courts stand alone in wholesale rejection of the “learned intermediary” doctrine, which says that a drug manufacturer is responsible for providing information on risks of a drug to doctors, rather than directly to their patients. Its courts have also permitted employees who are injured at work to circumvent the no-fault workers compensation system and bring lawsuits. Perhaps the most noted departure from traditional legal principles is that West Virginia law permits individuals to seek cash awards for medical monitoring before they develop an injury. That area is back in the news this year, with the distribution of checks stemming from what was initially a $380 million award against DuPont for contamination that emanated from a zinc smelter in Spelter, West Virginia. DuPont operated the plant from 1928 to 1950, decades before the lawsuit. The Harrison County award included a $55 million cleanup plan, a $130 million medical monitoring program, and $196 million in punitive damages. As described in the 2009/2010 Judicial Hellholes report, after being hit with one too many questionable claims in the Mountain State, CSX Transportation filed its own lawsuit against Robert Peirce & Associates, P.C. and a physician, alleging that they knowingly conspired to file fraudulent asbestos claims. CSX documented a “fraudulent entrepreneurial model” whereby lawyers paid doctors who spent virtually all their time working on litigation to find asbestosis in a certain percentage of screened cases. According to CSX, the screening companies intentionally produced low-quality x-rays that would show more white marks in the lungs, which a doctor could then rely upon to make inaccurate diagnoses. Lawyers also allegedly altered questionnaires filled out by clients without the clients’ knowledge in order to suggest asbestos exposure resulted because of the defendant’s operations. Ray Harron, M.D., the physician relied upon by the lawyers to supply diagnoses for the lawsuits, was exposed by a federal judge in 2005 as part of a virtual litigation machine. After Harron was discredited, the lawyers hired another doctor and paid him over a million dollars to rubber stamp Harron’s prior findings, which he did 90 percent of the time, according to CSX. U.S. District Court Judge Frederick Stamp initially dismissed CSX’s claims against the law firm as untimely. Rather than find that the company should have been on notice that the asbestos claims were fraudulent when filed, the U.S. Court of Appeals for the Fourth Circuit found that only later could the company have known of the alleged fraud. In October, the U.S. Supreme Court opted not to review that decision, leading the district court to lift a stay that placed the case on hold. As should be expected, the law firm is putting up a fight. It has filed a counterclaim against CSX and unsuccessfully attempted to prevent CSX from speaking to the firm’s former clients. Though this case is not likely to go to trial until late next year, CSX’s aggressive response to fraudulent litigation should serve as a model for asbestos defendants everywhere. Like schoolyard bullies who routinely steal others’ lunch money, those who engage in fraudulent asbestos litigation will keep doing what they’re doing until someone stands up to them. Five-term West Virginia Attorney General Darrell McGraw has frequently come under fire for frequently teaming up with private personal injury law firms and using settlement money collected on behalf of the public to fund his own pet projects. A recent report by the Manhattan Institute called McGraw a “pioneer in suing pharmaceutical companies” and noted that he has “courted an army of ‘special assistant’ attorneys general,” i.e., private personal injury lawyers, who take a significant share of any recovery, along with a considerable interest in McGraw’s reelections. 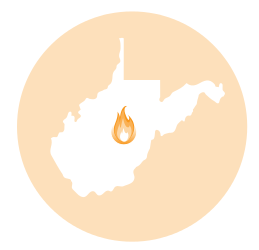 West Virginians are paying the price. A federal appellate court in July ruled that the federal government may withhold Medicaid funds from West Virginia because McGraw owed the feds $446,607 from a 2004 settlement as reimbursement for amounts the federal government spent on Medicaid in the state that year. Rather than put the settlement funds toward healthcare funding, McGraw gave the bulk of the money collected in a settlement with a pharmaceutical firm to the Public Employees Insurance Agency and retained a portion in his office’s consumer protection fund. The ruling is expected to have a similar effect on a pending claim by the federal government that McGraw shortchanged them $2.7 million from a $10 million settlement he reached with another drug company for “aggressively marketing” Oxycontin. McGraw unilaterally decided to donate those funds to substance-abuse programs around the state and to the University of Charleston for a pharmacy school. In both instances, McGraw avoided giving the money to the state’s Department of Health and Human Resources in an attempt to prevent the federal Medicaid program from collecting mandated reimbursements. Handpicked personal injury lawyers hired to represent the state received substantial fees in both cases. For instance, as the Manhattan Institute documents, McGraw hired four private firms that had given $47,500 to his campaigns to handle one such case. These firms collected $3 million in fees from the state’s recovery. Quicken Loans wants to know: How is it possible that a plaintiff who attempted to refinance a house she did not even own, stopped making payments during the refinancing process, obtained a loan that significantly reduced her monthly payments by $300 and lowered her interest rate, received cash back to buy a new car, rated her experience highly, and then defaulted within 60 days of closing can receive approximately $3.7 million in damages on a $144,800 mortgage? The company, which describes the case in detail on its website, was initially puzzled as to why the appraisal firm, which also was sued, would settle for the astronomically high amount of $700,000, five times the loan amount, given the facts of the case. Needless to say, Quicken Loans learned about West Virginia justice the hard way. After trying the case without a jury in October 2009, Judge Arthur Recht of the First Judicial Circuit Court, on whom this report has previously heaped praise, not only gave the plaintiff $18,000 in restitution for her costs, he relieved her of the obligation to pay back her $144,800 mortgage, effectively giving her the house upon finding the loan to be based on an inflated appraisal. In February 2011 Judge Recht awarded an astounding $596,199.89 in attorneys’ fees to the local West Virginia plaintiff’s firm and $2.2 million in punitive damages. Among many troubling aspects of this case is Judge Recht’s inflation of the compensatory damages award to justify a punitive damages award that otherwise would be deemed unconstitutionally disproportionate. The only item that meets the traditional understanding of “compensatory” is the original $18,000 in restitution. Cancellation of the mortgage was itself significant punishment for the lender. And already inflated attorneys’ fees are typically not considered compensatory in nature. So by counting the attorneys’ fees and value of the previously cancelled loan as compensatory, Judge Recht was able to boost the award for punitive damages into a windfall bonanza for the plaintiff and her lawyer. Quicken has appealed to the West Virginia Supreme Court, saying the verdict “makes absolutely no sense.” The court has granted review. A ruling is anticipated in 2012. While the Quicken case is shocking, legal observers are crying “Hellhole” after a jaw-dropping $91.5 million verdict against a nursing home in October 2011. After a two-week trial, the jury found that the nursing home failed to provide an 87-year-old woman with proper hydration during her three weeks at the facility, leading to her death. The award included $11.5 million in compensatory damages and $80 million in punitive damages. Even when a defendant’s conduct may be wrong and inexcusable, compensation for a death is invariably challenging. But it is important to recognize that such an astronomically high award does not solely affect that losing defendant company. The danger in awarding sums approaching $100 million is that it will result in higher insurance rates for nursing homes across the state, which in turn will make long-term care less affordable for all West Virginians, driving some facilities to relocate to other states and others simply to shut down altogether. This case is not a class action with damages distributed to thousands of people – it’s a single case. Such extraordinary verdicts encourage more litigation, too, as personal injury lawyers representing those allegedly injured may reject reasonable settlements and instead gamble on hitting a West Virginia jackpot at trial. Like many other Judicial Hellholes, West Virginia is a litigation tourist destination for plaintiffs and their lawyers from across the country. The West Virginia legislature in 2003 strengthened the state’s venue law by barring from West Virginia courts lawsuits by those who do not live in West Virginia unless a “substantial part” of the acts or omissions giving rise to the claim occurred in the state or the plaintiff was unable to sue in another state. West Virginia’s high court struck down the law in 2006, however, and state legislators reacted by adopting a more flexible approach that provided judges with significant discretion in deciding whether to permit out-of-state claims. The weakness of that reform measure was apparent in a pair of cases, decided by the state’s high court, that allow blatant forum shopping. In the first case, a North Carolina doctor prescribed a patch for pain management to a North Carolina resident, who used the patch in North Carolina and died, allegedly from the toxicity of the patch, in North Carolina. Since the deadline for filing this claim in North Carolina had expired, his estate’s lawyer filed in West Virginia, which, unlike North Carolina, commences the time period for filing suit from the discovery of the injury. Although a Monongalia County judge dismissed the claim because it had no connection to West Virginia, the state’s high court reversed, finding that since the case was barred by North Carolina’s time limit, West Virginia courts must hear it. In the second case, a Kanawha County judge had rejected the drug manufacturers’ request to dismiss cases from plaintiffs hailing from Wisconsin and Georgia. The defendants argued that they would have difficulty securing the testimony of witnesses and compelling production of documents from other states in West Virginia. Nevertheless, the trial court held, and the high court affirmed, that a plaintiff may bring a lawsuit in West Virginia, even when all of the underlying conduct occurred in another state, if the company sued is incorporated in West Virginia. This was the case even though Wisconsin plaintiffs candidly admitted that they were suing in West Virginia because they could not win some of their claims under their home state’s substantive law. Through these decisions, West Virginia’s high court has sent a message loud and clear to the plaintiffs’ lawyers nationwide: If you can’t win your cases at home, bring them to Wild, Wonderful West Virginia. But as Justice Menis Ketchum wrote in dissent, “WEST VIRGINIA CANNOT AFFORD TO BE A DUMPING GROUND FOR FOREIGN LAWSUITS” (the choice of all-caps was his). “We should protect West Virginia residents from defective products and let North Carolina deal with injuries suffered by North Carolina residents that occur in North Carolina,” said Justice Ketchum.